This is a simple recipe and so delicious - make it as mild or spicy as you like by adding more curry paste. Great one for the kids. In a big big saucepan or in an electric frypan brown the beef in a little oil. Cover with a lid and allow to simmer for 2 hours. 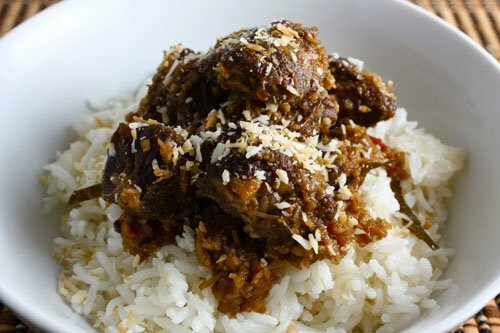 Serve with fresh steamed rice and a little coconut sprinkled on top.